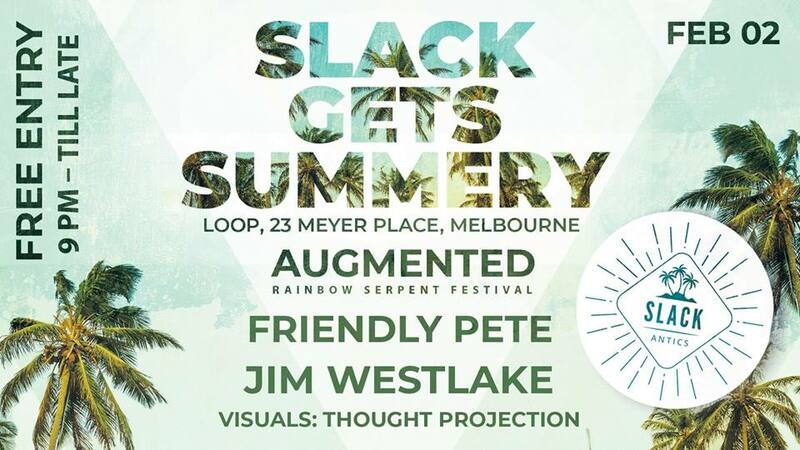 Slack Antics return to Loop on a Summers evening for a night of quality underground music!!! Kicking off 2019 we’re joined by AUGMENTED with his own blend on underground vibes. As seen gracing the decks of Rainbow Serpent Festival, Bablyon Festival, Breakfast club, along with releases on Smash Bang Records. Come get yer groove on! What else: A newly sound proofed venue along with a plush sound system from Void Acoustics. Times: 9 til Breakfast time ?